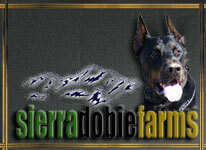 To provide quality healthy Doberman puppies to responsible loving dog owners throughout the USA.We work with like minded Doberman Breeders consisting of family and both old and new friends to achieve this goal.We are European Doberman Breeders specializing in large healthy quality dobermans with great temperament, superior intelligence and athletic ability. Steve & Judy began Sled Dog Central in 1997. Their passion and love of the sport led to Sled Dog Central becoming the GOTO place to find credible and reliable information on the sport of Sled Dog Racing for both participants and spectators. Puppychase Kennels is a premier breeder of AKC English Bulldogs. We offer both puppies for sale and stud services. Operated by husband and wife team, Jason and Michelle Longley, Puppychase Kennels provides the highest quality of puppies and unmatched customer service. If you are looking for a English Bulldog puppy or stud, please visit our web site at www.englishbulldogpuppychase.com. We also welcome visitors at any time to tour our facility and meet our dogs in person.